Vardy scored from the spot in the first half after being fouled by Molla Wague in the box and Mahrez sealed the points in injury-time. The England striker's first chance of the game arrived in the fifth minute after he got the better of the centre-backs and went through on goal, but he fired a shot from inside the area straight at the deputising Orestis Karnezis. Wilfried Ndidi found the ball at his feet two minutes later when Mahrez whipped in a free-kick to Harry Maguire to the back post where he nodded it down to the midfielder, but his shot from six yards was blocked by Richarlison. Troy Deeney was the victim of a tight offside call when he latched onto an Abdoulaye Doucoure flick-on to smash home a shot from the edge of the area but the assistant referee already had his flag raised. Vardy earned and then scored a penalty six minutes before the break as he beat Wague to a Matty James pass into the box, resulting in the defending fouling the striker. The England international then stepped up to send Karnezis the wrong way. Andre Gray came off the bench in the second half and almost brought Watford level when he raced onto a looped ball over the top but Maguire chased him in time and got there to block his shot from six yards. Leicester made eight changes from their win over Fleetwood in the FA Cup. Matty James was back in the midfield, while Dragovic keeps his place in defence.Heurelho Gomes missed out for Watford, so Orestis Karnezis was in goal. Troy Deeney started after an impressive display off the bench last week. The third and final change from the Southampton draw was Roberto Pereyra replacing Tom Cleverley. 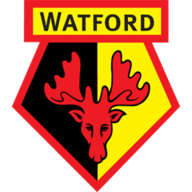 Watford ended up with three strikers and two wingers on, leaving plenty of space for Leicester to enjoy, but failed to create any late chances of their own. 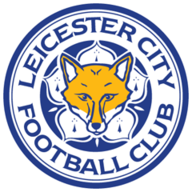 With Watford chasing the game in injury time, Adrien Silva led a Leicester break, playing the ball into space for Mahrez to run onto and dribble into the box where he struck a shot across the 'keeper and into the bottom corner. The result means Watford have now only won once in 11 games, putting added pressure on boss Marco Silva, while Leicester have moved up to seventh spot. Claude Puel: "Of course [I am] satisfied because it's a fantastic reward for the players, for the squad, because they work very hard in all the training sessions and it's important to continue this way. "It was a tough game, I said before the game it would be a difficult game because it was a strong team full of quality on the pitch and we have had difficulties in the first game away against this team, we know this team, it was difficult but it's a fantastic reward for the players." Marco Silva: "[It was a] tough game for both teams. We knew before and our opponent knew as well, it would be a tough game for both, I think it proved during the match. It was a balanced game, a really balanced game. "I think if you analyse the match in general, I think they had two or three chances to score, they scored two goals; we had two or three chances and scored no goals." Claude Puel praises opponents Watford for making the match difficult during Leicester’s 2-0 win. Leicester have won eight of their last 10 home league matches (including play-offs) against Watford (D1 L1), including each of the last three Premier League clashes. Only Stoke (18) have gone behind in more Premier League games this season than Watford (17). The Hornets have won just once in their last 11 Premier League games, failing to keep a clean sheet in each match - their longest run without a shutout since October 2016 (12 games). Riyad Mahrez has now scored in each of his last five Premier League games against Watford. Jamie Vardy has hit 10+ goals in each of his last three Premier League campaigns, scoring 47 goals in 94 appearances the process. The England striker was a thorn in the side of the Watford team, constantly putting the centre-backs under pressure and calmly slotting home his penalty, which he won. Wague had a torrid time, giving away a penalty and then pulling up injured chasing Vardy. Watford head coach Marco Silva insists he Isn’t going to lose focus worrying about his position at the club following their 2-0 defeat at Leicester. Leicester travel to Peterborough next Saturday in the FA Cup, with a 12,30pm kick-off. Watford head to Southampton in the fourth round for a 3pm kick-off on Saturday.